If you want to reap the nutritional benefits of chicken without having to actually eat it, you're in luck. Several high-protein vegetarian substitutes for chicken are available that help meet daily protein needs when you don't eat meat. Tofu makes an excellent substitute for chicken because it's a good source of high-quality, complete protein and can be flavored to taste like chicken. 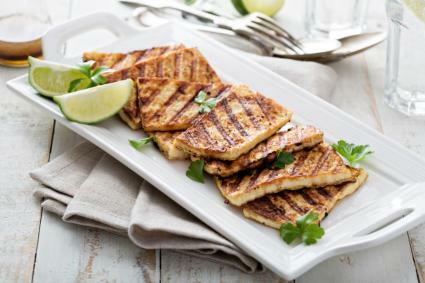 Use the following grilled marinated tofu recipe when you're craving the taste of chicken but want to avoid meat. Cut the tofu into ½-inch slices; drain and pat with a paper towel. Mix the remaining ingredients in bowl and stir well to make a marinade. Soak the tofu in the marinade for 30 to 60 minutes. Grill the tofu on a medium-hot grill for about two minutes on each side. Serve with extra marinade if desired, brown rice, and grilled vegetables. Seitan is a meatless protein made from wheat gluten. It is high in protein like chicken, and you can flavor it to taste like chicken with the right recipe. 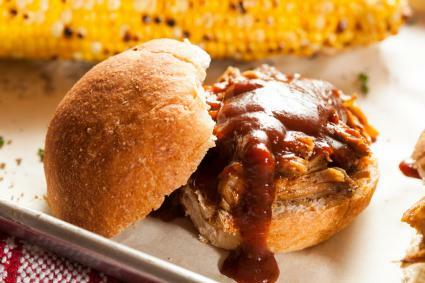 If barbecued chicken or pulled pork is a favorite, this recipe is for you. Place the onion and oil in a skillet; sauté over medium heat for five minutes. Add the seitan and continue to sauté for two more minutes. Pour in the barbecue sauce and stir; heat until the mixture is hot. Serve on whole-grain hamburger buns. 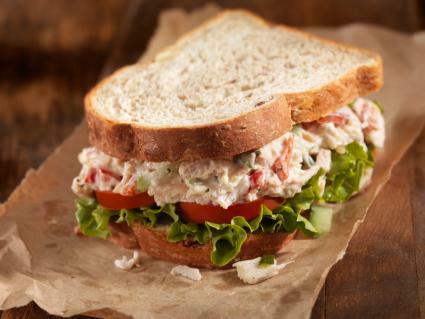 If you're a vegetarian craving chicken salad, try using tempeh (a meat substitute made from soybeans) instead of chicken. Boil the tempeh in water; add a pinch of salt. Reduce the heat to low and simmer for 10 to 15 minutes; drain and set aside. Combine all other ingredients in a bowl and mix well; add the cubed tempeh. Refrigerate for 30 minutes to chill. Serve on wheat bread with lettuce and sliced tomato. Gardein brand makes meatless chicken products, such as chicken strips and chicken patties that make excellent additions to vegetarian meal plans. Such products can be used in place of chicken in stir-fries, sandwiches, soups, and casseroles. Many Gardein products contain both soy and wheat protein and have received rave reviews from customers. For example, Gardein chicken strips have an exceptional rating of 5 out of 5 stars from Amazon.com customers, who say the product is very meat-like with exceptional taste and texture. Gardein products are found in many major grocery store chains and health food stores, and can be baked in the oven or microwaved. Similar to Gardein meatless chicken products, MorningStar Farms makes a variety of meatless chicken nuggets, chicken strips, and chicken patties. The protein in these products is soy, wheat gluten, or both, and can be found in many major supermarkets. MorningStar products can be baked or microwaved. Consumers of MorningStar meatless chicken strips give good reviews (4.2 out of 5 stars), saying the product tastes just like chicken. Likewise, MorningStar meatless chicken nuggets receive 5 out of 5 stars, with customers saying everyone in the family (kids and parents) are in love with the product. Quorn brand makes protein-rich meatless chicken substitutes that taste much like chicken. The main protein in Quorn products is called mycoprotein, which is actually a type of fungi, and egg whites are used as a binding agent. So, if you're a vegetarian and sensitive to soy or wheat protein, Quorn products may be a good fit for you. Customers give Quorn meatless chicken nuggets a 4.5 out of 5 rating, saying the product is delicious, and the texture is very similar to real chicken. Microwave or baked these frozen products and enjoy! If you want to avoid meat but crave the taste of chicken, numerous delicious meatless chicken substitutes are available to choose from. Make your own with vegetarian ingredients, or pick up a packaged brand for a quick meal.